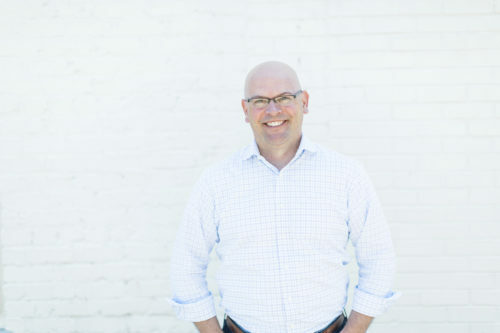 RICHMOND (April 10, 2019) – With more than two decades of experience building and innovating for brands in a variety of industry sectors, Dan Morrison has joined Joe Smith – a division of Padilla focused on brand consulting, innovation and design – as vice president. The move is part of the ongoing capability expansion strategy for Joe Smith. Brand strategy and consulting represents a steadily growing portion of Padilla’s client work, as companies recognize the role of reputation and corporate culture in building long-term, sustainable brands. Based in Richmond, Dan joins Joe Smith principals, Barry Saunders and Christian Markow, who lead a team of consultants in Richmond, New York and Minneapolis. Dan most recently served as head of operations, data and metrics for Facebook’s Community Partnerships, which works with leaders worldwide who are building communities through the Facebook family of apps and services. He also worked for Prophet, an integrated consulting firm that specializes in brand, marketing, design, analytics and innovation. Dan’s entrepreneurial spirit also led him to found Citizen Effect, one of the first crowdsourcing platforms for social good, and Reacht, an award-winning audience engagement platform for media companies. Joe Smith’s client experience includes Bremer Bank, Capital One, Chick-fil-A, Fairview Health, Friesland Campina, Niagara Conservation, Pentair, Polaris, Pratt & Whitney, Rockwell Automation, Seqirus, VCU Health and Virginia Wine, among others. “I’ve known Barry and Christian for years, having first met them through our mutual work at Prophet. I’ve admired the growing business and great culture they have built, and I am excited to be a part of Joe Smith’s continued expansion,” Morrison said. Padilla is an independently operated, globally resourced public relations and communication company with offices across the United States. The agency builds, grows and protects brands and reputations worldwide by creating purposeful connections with the people who matter most through public relations, advertising, digital and social marketing, investor relations and brand strategy. Padilla includes the brand consultancy of Joe Smith, the food and nutrition experts at FoodMinds, and the research authorities at SMS Research Advisors. Clients include 3M, Barnes & Noble College, Blue Cross and Blue Shield of Minnesota, Cargill Animal Nutrition, Hass Avocado Board, Mayo Clinic, Prosciutto di Parma, Rockwell Automation, Sanofi Pasteur, U.S. Highbush Blueberry Council, the Virginia Lottery, Virginia Wine and Welch’s. Padilla is an AVENIR GLOBAL company and is a founding member of the Worldcom Public Relations Group, a partnership of 132 independently owned partner offices in 115 cities on six continents. Connect with purpose at PadillaCo.com.